An eventful and fascinating safari in the heart of Africa. During our first few days motoring we stay around the ever green Shimba Hills. See small villages where the weekly markets are a real event. After 3 days we leave for Tanzania. We pass through various landscapes such as the fantastic green scenery round the Usambara Mountains, also known as the vegetable garden of Tanzania. 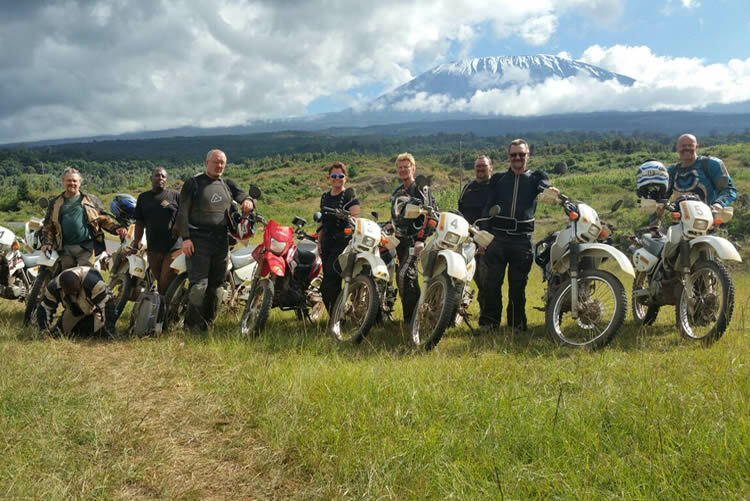 And of course we ride our bikes around the mighty Kilimanjaro, the snow covered, highest mountain of Africa, its south-side full of tropical banana plantations, fields of grain on the north-side, and to the west the arid savanna where the Masaai try to survive with their cattle. On the way back we come through Tsavo in Kenia. Here you have the opportunity to do a real wildlife safari in the immensely vast Tsavo National Park or the famous Amboseli Park. On the last night of our trip we spend the night in a bush camp, far away from the inhabited world. 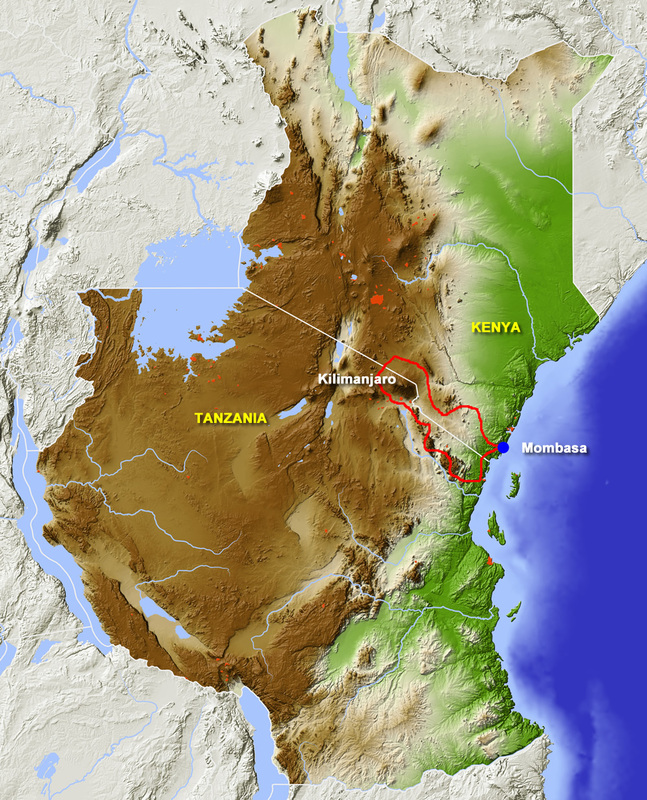 Savanna, mountains, plantations, vulcanoes, people and their villages, animals, eateries, vistas and above all friendly people. This tour is carried out in cooperation with our partner Motorsafaris.